The BugStoppers is committed to providing a pest-free environment for your residence. Whatever the pest control problem, we have the solution. The BugStoppers offer many residential and commercial services that include termite and pest control. We also offer rodent control, spider and mosquito systems, animal trapping and lawn fertilization, pool service and maintenance. We are locally owned and operated with over 30 years experience. We get rid of what bugs you. The BugStoppers is a locally owned and operated pest control provider for Houston and the surrounding areas. We have over 30 years of combined experience in the pest control industry. Our Pest Free commitment begins with a complete analysis of your property by one of our state certified technicians. Our technicians are specialists in insect identification, problem solving and the most advanced treatment procedures. 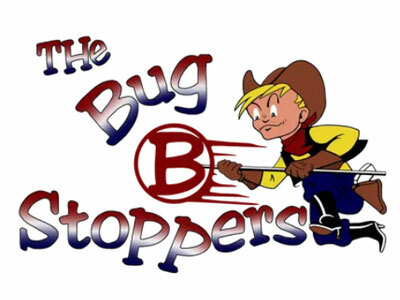 The BugStoppers is proud to offer quality service and competitive pricing for any type of commercial or residential establishment. Introducing Termidor, America's first 100% termite control solution! No other termiticide in history has consistently returned "100% effective" results whenever and wherever it was used. If you choose The BugStoppers, you can be assured that termites will be eliminated from your home for at least the next five years. It also gives you 100% peace of mind. Our Mosquito & Spider Misting System sprays a very fine mist of insecticide through nozzles installed along the eaves of your home and on the fence lines. The chemical used in the system (Pyrethrum) has been around for years. It is very safe and is highly effective at controlling insects. The system can be programmed to dispense the insecticide in a high pressure mist at the most opportune time to best control targeted pests. It can also be manually controlled by the owner to take control when it is needed most. The system can eliminate Mosquitoes, Spiders, Scorpions, Flies, Wasps, Gnats, Fleas, and other insects. The more beneficial insects such as bees and butterflies are not harmed. The system comes with a 2 year parts warranty and includes a 55 gallon tank, motor, 24 hour timer, pump, pressure gauge, filter, nylon tubing, high quality nozzles, keyless remote control, rain sensor, low level indicator light, and various other components. Building a thick, healthy lawn with a dense root system is the key to eliminating weeds. The BugStoppers has a complete line of services and products for lawns - both pesticide treatments and non-chemical treatments to help you care for your lawn. We have products that can control insects, control fungus and weeds, and fertilize. Our lawn food and weed prevention is chemical free and will not burn your lawn. Our fungicide treatments are non-toxic and control soil borne diseases such as brown patch, leaf rust, and dollar weed in lawn and turf areas. All of these treatments can be done on an as-needed basis or on a yearly program that will give you and insect and weed free lawn year around. Call us today for a free analysis of your lawn and let us set up the best program to meet your needs.